I had tears in my eyes today. Nothing to do with the away tie of the 2012/13 campaign against Lazio but a picture of a disconsolate Danny Thomas, head in hands after missing his penalty at White Hart Lane against Anderlecht in the 1984 UEFA Cup final. That was one massive crowd at White Hart Lane that night and at that moment the tie turned once more to Anderlecht before Tony Parks rescued it and won us the trophy. Certainly a Glory Glory Night. Then there was the disgraceful tie against Barcelona in the Cup Winners Cup Semi Final where a full blooded Graham Roberts performance got us a 1-1 draw against a team that looked so unlike the current Barca side that’s its untrue. 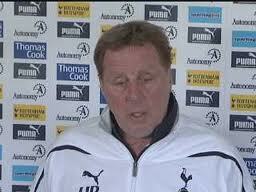 Never were so many angry fans leaving White Hart Lane over the performance of the opposition. Not a Glory Glory Night but a poignant memeory nonetheless! Then there was Glenn’s demolition of Johann Cruyff in a 4-2 home victory where we were 4 up by half time and the man we liked to take more care of knocking in 2 goals. A Glory Glory Night if ever there was one. 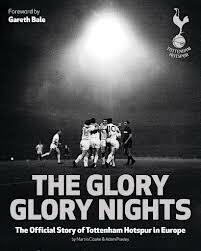 I have to say that the latest offering from Martin Cloake and Adam Powley “The Glory Glory Nights The official story of Tottenham Hotspur in Europe” is if not the best, one of the best books I have ever read about our famous club. From the moment you open the front cover to see the first page map of Europe setting out the campaigns between 1961 and 2012 and a list of the matches in each you can tell this is going to be something special. 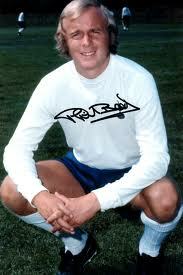 This is a book that ouses style as it charts our history in all the white kit. I was born days after the Benfica tie and can remember every game after Keflavik. Growing loving football I always looked forward to reading the programmes over breakfast the Dad brought home from those UEFA Cup ties. Teams with unusual foreign names from far away places and players with unpronouncable names. All the programme covers are here matching up with the reports of the games which includes a team sheet and scorers. 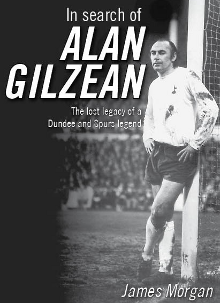 And then there are the interviews with stars from every era, the wonderful Cliff Jones and Terry Dyson, Paul Miller and Mickey Hazard, the great Phil Beal and Martin Chivers and a foreward from Gareth Bale. There are problems. Anyone receiving this on Christmas morning will find it difficult to put down and is likely to get into serious trouble but that’s not a reason for not adding it to the Christmas list! If you’re still not convinced that you want this book on your coffee table take a look at how it looks by visiting The Glory Glory Nights book page and clicking on the book cover to reveal extracts of the pages inside. Mid Term Report: Best team in the Country? It’s been a while since I posted but those of you who follow twitter may know that I remain alive and well. In that time we’ve won away at Fulham. West Brom and Norwich, beaten Aston Villa, Bolton and Sunderland at White Hart Lane, drawn with Chelsea and Swansea and lost an uphill battle at Stoke. As we enter 2012 we’ve seen United, Chelsea, City and now Arsenal go down in games and with City and United facing difficult fixtures later this week our game against West Brom has a little more pressure, knowing that a win further cements our place in third before the game in hand comes along next week. What we’ve seen during November and December is more of the same high tempo quality football that has made us the darlings of the public. In American Football Dallas became known as “America’s Team” under Coach Landry and Spurs certainly fulfil that role for lovers of football at the present time. At times we have been quite sublime and my only concern is the number of chances that we have put wide of the goal rather than into it during some of the thrashings we have handed out. Take the Bolton game. Had that been 8 nil no one would have turned a hair such was the gulf between the two sides. We also played Villa and Norwich off the park but didn’t really press home our advantage in terms of what the score should have been. That’s greed on my part and not meant as a criticism of the team, who have been just spectacular, but if you look at the table it’s a stand out point. Those who believe we might have a great chance of the trophy should see that this might cause us a bit of problem if we are able to catch up the Manchester clubs. I agree with Sir Alex. We are playing the best football or equivalent to the leaders of the league at the present time and I do feel that we are the second best team. But for Sir Alex to start mentioning it makes me feel that the mind games have commenced for their upcoming visit and if we are to do well that’s a game we need 3 points from. As I’ve said in previous posts Parker has been brilliant but in recent weeks so has Sandro. The way he kept the ball alive with his head on the ground against Chelsea as it was running out of play summed up this team. As Spurs fans we love to see great football but we’ve not been used for years to see every single player loving being on the pitch and wanting to keep possession. For many years we squandered it badly giving the opposition ample chance to hurt us but so far this season we’ve kept going up the gears and not given opponents much chance to get the ball, let alone hurt us with it. To be fair Swansea were very good and we could have come away with very little and Chelsea should have caught us in the second half but when we’ve been at our best nobody has lived with us; Chelsea included. For me Lennon’s injury was a major disappointment as I’ve been delighted with his performances this year. His final product has been very good and often it’s the finishing that makes you shake your head. Walker has settled into the side showing a pace that’s hard to live with. In the summer in the U21’s I thought he might get caught out but that hasn’t proved to be the case as his defending has been good. In central defence Kaboul has also shone and after a shaky start against PAOK Gallas looked terrific against Sunderland and Chelsea. It’s unfortunate that Friedel was at fault for the goal against Swansea for till that point for some fans he had been our signing of the summer. It’s been a while since we’ve had s solid keeper in the goal and it makes a huge difference. Then, of course, there is Ledley. Massively missed when absent and a calming influence on the field. He has a massive part to play between now and the end of the season. The midfield is terrific but when one is missing replacements show the gulf between first team and remainder. There is a tempo of play between Lennon, Bale, Parker, Modric, Van Der Vaart and Sandro that is difficult to pick up by others either as a sub or starter and like other sides injuries to our top players could prove costly. Adebayor has been on wavelength and I would question how much money he really needs in his life as he must fancy staying a second season to play in this side. And then to Harry. The tactically inept man we took on to get us out of the relegation zone. The job he has continued to do is astonishing and I cannot believe that he might want to leave for a well paid part time job when this team is the best he has ever worked with. It may be that Her Majesty’s pleasure will call and this might be our biggest threat to the second half of the season. So as we begin January are we too tired for West Brom and Everton? Only time will tell but for me wholesale changes are a mistake as the dreadful Europa League games showed. What we need is the pace and tempo of our top players to secure victory early before making changes to close out the match giving playing time to others. If injury dictates we can cope with one change but to rotate wildly provides too much hope to a nervous opposition arriving at White Hart Lane. All I can say is we’ve been brilliant so far and I hope we can continue. I’ve never felt we could be consistent enough to win the title but I’m maybe wavering on this point. Not this season but if the team stays together and continues to learn and develop we’ve certainly got the pace, desire and ability to start winning trophies. 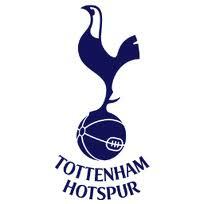 Can’t wait to get to the Lane tomorrow night so Come On You Spurs. It’s frustrating. It really is. There are so many of us who have played at this level and so often that we can tell instantly when players should have done something or not. Take Myhill’s point blank save from Keane in the second half. Bad miss called many in the Paxton but the ball clearly hit the keeper in the face. Keane was close to him and did all he could and the keeper somehow managed to get his face in the way and it bounced wide. On another day it might have rebounded hit Keane and then gone in. What would we have said then?